first Bundelkhand Agriculture Leadership Summit, Hamirpur, U.P. In the first Bundelkhand Agriculture Leadership Summit, respected Sarla Didi was invited as a special guest. Uttar Pradesh's agriculture minister Brother Surya Pratap Shahi ji, various legislators, scientists, heads of NGOs, and the intellectuals of Bundelkhand, were lighting the lamps with Sarla Didi ji. Thousands of farmers of Bundelkhand and agricultural scientists from different states, participated in the summit. Honorable Prime Minister Narendra Modi visited Yogic Kheti(Farming) stall set up by Brahma Kumaris at Krishi Unnati Mela, Pusa, Delhi. 3 stalls were set up to display techniques of Yogic Farming. Honorable Prime Minister Shri Narendra Modi, Union Minister for Agriculture & Farmers Welfare Shri Radha Mohan Singh, Minister of State Shri Parshottam Rupala, Minister for Agriculture, Government of Uttar Pradesh, Minister for Agriculture, Government of Madhya Pradesh, Director Agriculture, Government of Uttar Pradesh visited the stall. 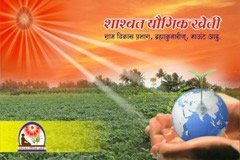 Lot of enthusiasm has been observed with this Brahma Kumaris initiative to bring a new spiritual revolution in Agriculture. Ministers, secretaries, directors, commissioners from different states, Scientists, Experts related to agriculture across the country, are likely to visit yogic kheti stall. The Ministry of Agriculture and Farmers Welfare is organising the Krishi Unnati Mela 2018 between March 16 and March 18, 2018 at Mela Ground, IARI, Pusa, New Delhi. Krishi Unnati Mela is a three-day event launched by Prime Minister Narendra Modi on 17 March 2018 in Delhi. The objective of the fair is to create awareness among farmers about the latest agriculture-related technological developments. A theme pavilion on doubling of farmers income, organic farming, cooperatives, farm inputs, will be there to further assist farmers with the latest developments in the farming techniques. "HOLISTIC RURAL DEVELOPMENT THROUGH PERSONAL DEVELOPMENT" exhibition Under Sansad Adarsh Gram Yojana Project was held on 28th & 29th Nov in a National Pig Expo at Rani, Guwahati. Many VIPs visit & get an idea about MODEL VILLAGE. This project in collaboration with BRAHMAKUMARIS, GUWHATI is going on from last one year.First time Brahmakumaris is working with Govt of Assam to build a Model Village. In picture sister Sanhita is explaining the importance of Sustainable Development to build a model village through personal development to the VIPs. She offered one year village development activity report published by govt sector to Sri Atul Bora , Agriculture Minister, govt of Assam & other high officials. FARMERS’ EMPOWERMENT CAMPAIGN held at City Montessory school, Vardaan Khand, Gomti Nagar, Lucknow , was inaugurated by Honourable Agriculture Minister Bro. Vinod Kumar. Campaign was introduced by Sister Manorama, Bk Sis. Sarla, Bk Bro. Raju. This campaign with 18 chariots will go in every village and block to empower the farmer. Campaign was held at Haldhar mahu block, Gonda(U.P.) in presence of chief guest M.L.A. - Bajanath Dube, B.D.O. - Raju oojha, Center incharg B.K. Diviya Bahen and B.K. Chandni Bahen, B.K. Birender Bhai and other bk brothers and sisters. FARMER EMPOWERMENT Campaign started from Lucknow, reached at Bindki, where services were held at Bindki, Koraiyan, Dadankheda, Mohaar and khajua. Camapign was held in the presence of chief guests Former state minister Rajendra Patel ji, Former District President Rameshwar Dayal, Rajendra Kumar(Pradhan), Rajendra Sinfh Gautam(Pradhan), Dalla singh(Poorv Pradhan), Santosh kumar(Pradhan). Brhmakumaris and Rural Development Board jointly conducted "My village, my country " Campaign. While Addressing Panchayat representatives Brahmakumaris sister Urmila said that Selflessly sacrificed service will prove the best representatives . She said that positive thinking is key to successes . Center incharge Bk Vasudha reminded to remove the poison of religion from our minds with the help of God rememberence, which can make our villages perfect. The founder of the Rural Development Board Rajendra Yadav said that beyond the development of concrete brick when social representatives will emphasize on Building social atmospheres , women's empowerment , education etc only then our village will truly develope . Campaign was launched by BK sister Urmila , district councilor Sunita Goyal, Panchayat Samiti member Anita, Sarpanch Suman Devi, Rajendra Yadav and Bk Vasudhas sister etc. A program was conducted for villagers of Sevdi(Rajasthan) on 3 March 2016. Bk Geeta Bahan giving guidance on self empowerment & stress free living. FARMER EMPOWERMENT Service held in Sonipat(Haryana). In Sonipat sec-15, Government has organised a Kisan Mela (under National Agriculture Development Scheme) and also invited Brahmakumaris Pramod sister. There Bk Madhu sister said about sustainable yogic farming that we can grow good quality and better quantity crop at low cost using Yogic cultivation and for this, practice of Raja Yoga is necessary. SDM of gohana, Brother Dharmender Singh & DDA of Sonepat, Brother Virender Arya & Dr. Nandal and 500 farmers were present there. BK Pramod sister had given divine gift to DDA & SDM and also invited them for Rajyog class. FARMER EMPOWERMENT CAMPAIGN LAUNCHED IN PALANPUR, GUJRAT. This program was addressed by Minister of state for family welfare, Government of Gujarat Bro. Shankarbhai Choudhary, Executive Director of National Dairy Development Board, Bro. Sangram Chaudhary, local MLA Bro. FARMER EMPOWERMENT program held at Somayajula Palli(AP). FARMER EMPOWERMENT Service held in PURULIA(West Bengal). BK Sandhya speaking on "Role of Women in Soil Health management" at pre-summer Kisan Sammelan at Krishi Vigyan Kendra, Kalyan, Purulia, West Bengal. Additional District Magistrate of Purulia Brother P. Monity and other Agricultural Scientists. FARMER EMPOWERMENT CAMPAIGN Seminar held in Gujarat. Seminar held for Gujarat Government Agricultural officers being addressed by BK Rajesh Dave.